I read this article and found it very interesting, thought it might be something for you. 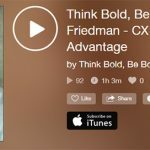 The article is called Customer Experience Design for 400% Growth with Jason Friedman and is located at https://www.cxformula.com/customer-experience-design-for-400-growth/. As you know, Lions, word of mouth can either help a business succeed wildly, or plow it under the ground, depending on whether it’s good or bad. 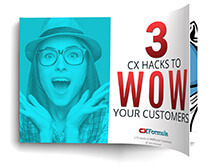 But few businesses put much thought into their customer experience design – an absolutely critical factor if you’re trying to generate a positive buzz. That’s where Jason Friedman comes in. 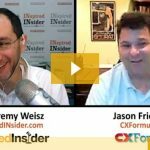 As Founder and Chief Experience Officer of CX Formula, Jason does everything in his power to help small- and medium-sized businesses design a customer experience. That’s the sum total of what a typical customer goes through in his or her interactions with a company – and it’s also what generates positive word of mouth. 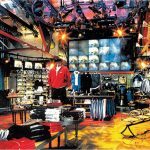 His clients have included big names like Foot Locker, Nike, Universal Studios, Disney, Bank of America, Stanford University, and more. 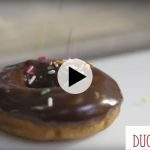 For companies like these, he designs a customer experience journey that culminates in positive word of mouth – and 400 percent same-store sales growth in some cases. Jason combines the art and science of designing the customer experience journey to influence how customers feel when they walk into a store. He finds ways to engage the senses and get people emotionally involved with companies. In essence, he finds a way to make retail a more engaging, theatrical experience. Click play in the player below to hear Jason’s remarkable story of moving from being a roadie for a few bands you may have heard of to being the customer experience designer for brands you definitely know. You’ll get plenty of other valuable advice along the way. How experience as a roadie for Peter Gabriel and Rush helps Jason form great customer experiences in retail. The superpower that makes Jason excel at creating customer experiences. Why retail should pay attention to theater. The changes Jason helped Foot Locker make to achieve 400 percent same-store growth. Why you might want to throw out job descriptions (and what to replace them with). 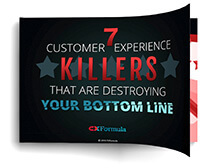 Reverse engineering your customer experience. Three killer tips to getting close to a client – even if things go terribly. 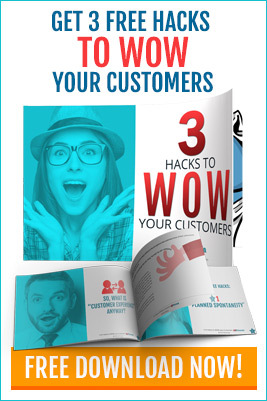 Go to Jason’s website to get a free PDF exclusive to Lions Pride listeners that will help you shape your customer experience design for the better. You can also contact Jason via email.